The local accommodation (in single and double rooms) has been arranged for all participants for 8 nights in the Palace Hotel, including breakfasts, lunches, and dinners (except the dinner on Saturday evening, September 2, 2017). The first meal is a dinner on August 30, and the last is a breakfast September 7, 2017. Students shall make their own reservation with hotel (they can choose a double room at EUR 371.- per full package or a single room at EUR 453.- per full package) and will pay for accommodation at the venue (Palace Hotel). The full package for all attendees of the school comprises: 7 days full board (FB) + 1 bed & breakfast (BB). For a single room this amounts to: 7 × (EUR 38.20 BB + EUR 21.00 lunch and dinner) + 1 × EUR 38.20 = EUR 453.00 in total. For a double room (sharing with another attendees) this amounts, per person, to: 7 x (EUR 28.00 BB + EUR 21.00 for lunch and dinner) + 1 × EUR 28.00 = EUR 371.00 in total. In case of other arrival/departure times it is possible to book an additional accommodation at the price of EUR 60.- (single room) or EUR 49.- (double room), per person, full board included. The reservation with Palace Hotel should be made as soon as possible after acceptance. To make a reservation please send an e-mail to office@palacehotel.rs and indicate (in the subject of the mail) the code “TSCOST2017”. To make a reservation please send an e-mail to office@palacehotel.rs and indicate the code “TSCOST2017” in the subject of the mail. Exchange rate The exchange rate EUR/RSD at time of arrival will be applicable. Taxi service The price of a taxi service from the Belgrade Airport Nikola Tesla to Hotel Palace (in the city center) is 1800 RSD (about 15 EUR). Belgrade is the capital and largest city of Serbia. It is located at the confluence of the Sava and Danube rivers, where the Pannonian Plain meets the Balkans. Its name translates to “White city”. The urban area of the City of Belgrade has a population of 1.34 million, while over 1.65 million people live within its administrative limits. As a strategic location, the city was battled over in 115 wars and razed 44 times. 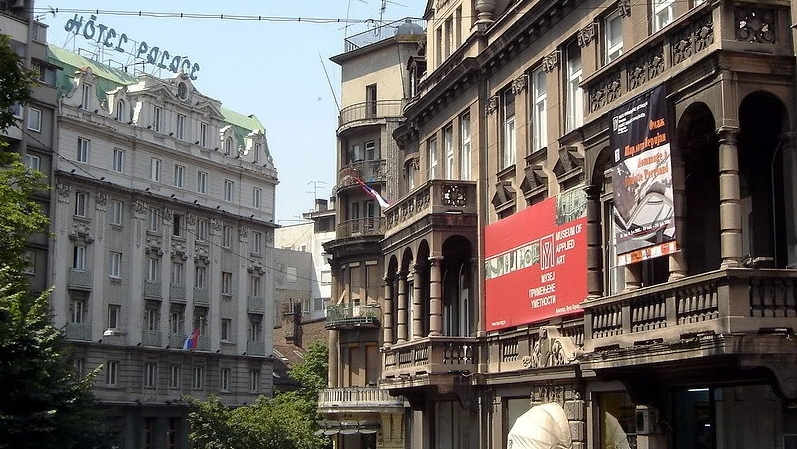 Belgrade was the capital of Yugoslavia from its creation in 1918, to its final dissolution in 2006. Belgrade lies 117 metres above sea level. 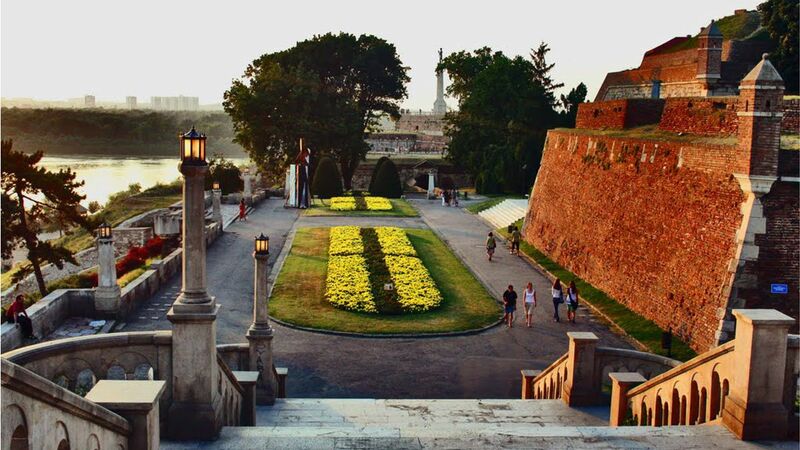 The historical core of Belgrade, Kalemegdan, lies on the right banks of both rivers. Since the 19th century, the city has been expanding to the south and east; after World War II, Novi Beograd (New Belgrade) was built on the left bank of the Sava river, connecting Belgrade with Zemun. The city has an urban area of 360 square kilometres, while together with its metropolitan area it covers 3,223 km2. On the right bank of the Sava, central Belgrade has a hilly terrain, while the highest point of Belgrade proper is Torlak hill at 303 m. The mountains of Avala (511 m) and Kosmaj (628 m) lie south of the city. Across the Sava and Danube, the land is mostly flat, consisting of alluvial plains and loessial plateaus. Climate. Belgrade lies in the humid subtropical just short of a Humid continental climate, climate zone, with four seasons and uniformly spread precipitation. Monthly averages range from 1.4 °C in January to 23.0 °C in July, with an annual mean of 12.5 °C. There are, on average, 31 days a year when the temperature is above 30 °C, and 95 days when the temperature is above 25 °C. Belgrade receives about 690 millimetres of precipitation a year, with late spring being wettest. The average annual number of sunny hours is 2,112. The highest officially recorded temperature in Belgrade was +43.6 °C on 24 July 2007, while on the other end, the lowest temperature was −26.2 °C on 10 January 1893.